High up on the hillside above Blackhillock Farm, at 330metres, is the croft of Drumnagarrow. This was the home of James Strachan the well-known fiddler. 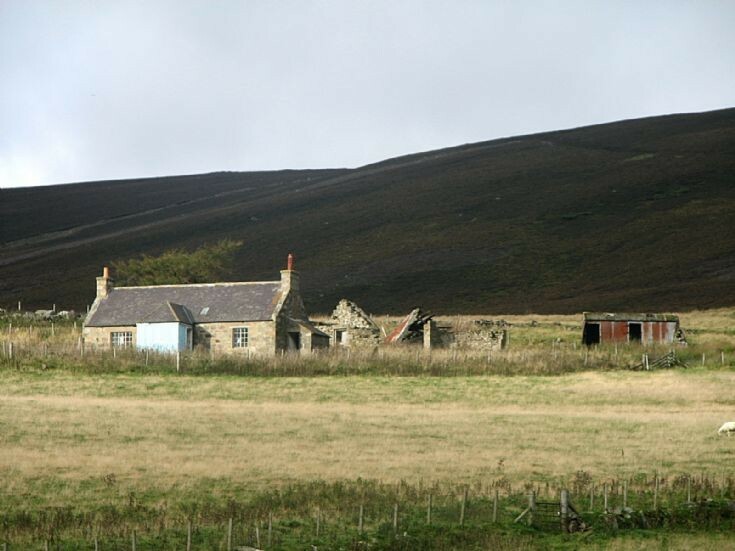 The croft consists of a cottage and surrounding farm buildings and sheds which are derelict. The cottage is intact but has not been inhabited even as a holiday let for over 12 years. It is remote with no road access, no running water, electricity or sanitation. The inside is in disrepair. In the kitchen there is a wide arch over the fireplace not unlike a Glenbuchat ingle at Badenyon, except that it is covered with lath and plaster. Does a stone arch lurk underneath? Alexander Williams 65y H.L.Weaver .